*Islamic holidays may result in amended dates. Students have access to a broad range of degrees programs across 9 colleges taught by highly accomplished faculty. Many of our degree programs are unique to UAEU, and many of them are offered in unique combinations. University College is committed to assisting new students to achieve a successful transition from high school to university life. Students can choose to further their education through our College of Graduate Studies or Continuing Education Center. UAEU's research focus is aimed at developing innovative and sustainable solutions to many of the challenges facing the UAE, the region and the wider world today. Four female students, Mariam Al Bloushi, Mariam Aldossari, Fatima Al Mazroui and Sarah Al Yafee are studying at the UAEU, have created a smart car with 22 properties that contribute to community service. Twenty-eight years ago Abeer Al Shahi made the decision to learn sign language, inspired by a deaf neighbour who ensured his disability did not burden his life. “Getting accepted to the UAEU has been a true blessing for me. UAEU is the best university in the country and keeps developing in terms of technology, student services and the quality of tuition. I have made many new friends and had many new experiences, all of which has made me realize that UAEU is not just about studying, but it is also a place to prepare for life outside of university." “Combining beautiful gardens, modern architecture, state-of-the-art learning and research facilities and an array of extra-curricular activities, UAEU is an inspirational place to live, work, study and have some fun." "Any expert was once a beginner. UAEU graduates experts". 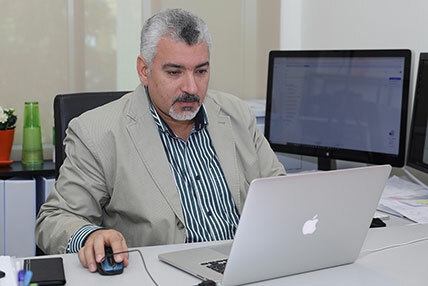 With his passion on Computer Science and Technology, and background on Civil Engineering, Dr. Hamad Al Jassmi is sighting new horizons on the delivery of sustainable and lean construction projects. Dr. Al Jassmi believes it is time for the construction industry to go digital. Designing a large-scale 3D printer that prints an insulated concrete paste for building structures, using IoT and Machine Learning to remotely control labor productivity at manufacturing and construction sites, digitalizing construction job site safety management using Building Information Models (BIM) and Virtual Reality (VR), and developing a construction claims management system using Artificial Intelligence; are examples of current research projects he is currently engaged in. Dr. Al Jassmi published 15 peer-reviewed articles, several which appeared in top ranked international journals in the field of Construction Engineering & Management. Throughout his academic journey with UAEU since 2014, Dr. Al Jassmi developed numerous curricula for various civil engineering courses, and developed an interactive e-book that explains the fundamentals of Structural Engineering. Dr. Al Jassmi is currently the Assistant Dean for Research and Graduate Studies at the College of Engineering. He is chairing numerous key committees related to innovation, research, graduate studies, and is leading the university’s industry 4.0 MiniFactory educational project. He is also a member of the Manufacturing Council that draws the strategic plan of the National Advanced Sciences Agenda 2031, and is a member of the Supreme Council of the Armed Forces Innovation Award sponsored by HH Sheikh Mohammad Bin Zayed Al Nahyan. Dr. Al Jassmi obtained his PhD in Civil & Environmental Engineering from the University of New South Wales in Australia, ranked 45th worldwide by QS. Before his PhD studies, Dr. Al Jassmi obtained his Bachelors (Hons) and Masters degrees from the United Kingdom at the University of Greenwich, and the University of Cardiff. Away from academia, he enjoys reading Arabic literature and writes poetry in both classical and local Arabic. To make a positive impact on someone's life; values, dedication, opinion and productivity are the key! With these words, Dr. Synan AbuQamar climbed the academic ladder to become an Associate Professor at the Department of Biology in the United Arab Emirates University (UAEU) since 2014. Dr. AbuQamar completed his Ph.D. from Department of Botany & Plant Pathology/Purdue University in 2007. Following his Ph.D., Synan pursued as a postdoctoral fellow in the laboratory of Prof. Tesfaye Mengiste at Purdue University. In 2008, he joined the Department of Biology at UAEU as an Assistant Professor. Since then at UAEU, Synan has established a Plant Molecular Genetics/Plant Biotechnology laboratory at the Department of Biology. His current research area is Molecular Genetics of Plant Immunity. His research focuses on understanding the molecular and cellular factors that control plant defense mechanisms against necrotrophic pathogens – pathogens that kill host tissues/cells to complete their life cycle- using “model” and “crop” host plants. As a translational scientist, Dr. AbuQamar has been able to take forward his basic research using genomics, transcriptomics and gene functional approaches to agricultural and field applications, and back to the lab to know more about basic science. The ultimate goal is to substantially reduce the devastating impact of diseases on plants. In the UAE, as in other countries in the world, plants fight to survive harsh environmental stresses, including plant pathogens. Synan is striving to improve plant resistance to pathogens/diseases. Traditional horticultural and chemical practices have proven their limitations, or even negative impacts on the environment and human health. Therefore, genetic engineering and biological control can limit the increases of pathogen populations, and often suppress the plant tissue destroying activities of pathogens. In his lab, Synan has extensively been concerned about the plant-microbe interaction, including Arabidopsis thaliana-Botrytis cinerea, date palm-Thielaviopsis punctulata and mango-Lasiodiplodia theobromae pathosystems. For example, B. cinerea is considered the second most important fungal pathogen worldwide that causes diseases in a wide range of crops. T. punctulata and L. theobromae causing black scorch disease (locally known as Medjnoon) on date palm and dieback disease on mango; respectively, negatively affect the agribusiness in the UAE. Dr. AbuQamar’s lab has efficiently limit chemicals use on plants. So far, the lab has generated several mutations in genes and discovered many biocontrol agents for a highly effective solution against these “nasty” fungi. All research findings are the result of research projects carried out by Dr. AbuQamar’s team including M.Sc. and Ph.D. students. Synan has published over 50 publications in highly impact international journals. This is evident that American Society of Plant Biologist (ASPB) has recognized Synan being one of the most highly cited author in “Plant Cell” and “Plant Physiology” journals published between 2009-2013 in the Middle East and Africa. In addition, he has been recognized in several occasions by UAEU as a “distinguished researcher” with publication in top ranked journals. In 2017, he was awarded the College of Science Award for Excellence in Scholarship. Synan is married and has one son, Hamzeh, and one daughter, Juwan. Synan enjoys reading, football and traveling. Dr. Ayesha Salem Obaid Al Dhaheri, currently holds the position of Vice Dean in the College of Food and Agriculture at the United Arab Emirates University (UAEU). Dr. Al Dhaheri earned a Ph.D. in Clinical Nutrition from Oxford Brookes University, England, in 2007 after gaining an M.Sc. in the Environmental Sciences: Clinical Nutrition from UAEU in 2002. Dr. Al Dhaheri joined the United Arab Emirates University in 2008 as a research assistant. She became an associate professor in the Department of Nutrition and Health Sciences in 2015. She also serves as Assistant Dean for Professional Development; President of the Emirates Clinical Nutrition Society and as a coordinator for MEFOODS and GULFOODS – FAO in Rome. Dr. Al Dhaheri’s research promotes greater awareness of the prevention and treatment of nutrition related diseases. This is the goal of her current Emirates Foundation-sponsored projects where she is the principal investigator. Recently her research team compiled the first authoritative guide to the nutritional composition of traditional Emirati food and the impact such food has on blood sugar levels. Another research project is ‘Setting up and Running School Gardens.’ This is conducted in cooperation with the FAO; the General Women’s Union and the Abu Dhabi Food Control Agency. Dr. Al Dhaheri edited and published an Arabic version of the teaching toolkit and manual for this project. Additionally, she has an ongoing project that focuses on the relationship between body mass index (BMI), body circumference and skinfold thickness in terms of impaired fasting glucose (IFG) and blood pressure (BP). This is being conducted with female UAEU students. She has authored numerous peer-reviewed publications in cooperation with other national and international scientists, and regularly participates in international conferences and interdisciplinary research projects in nutritional and clinical sciences. Also, she has organized a series of events. These include the International Growth and Development Conference (‘Healthy Ageing: Pediatric to Geriatric’), the first conference of its kind in the region. One of her many notable achievements has been when the University College London’s (UCL) Division of Medicine – Institute for Liver and Digestive Health, selected Dr. Al Dhaheri to be an Honorary Fellow from the 1st October, 2017 to 30th September, 2020. Outside of work, Dr. Al Dhaheri enjoys spending quality time with her family and loves to engage herself in activities such as natural soap making, cooking and crochet sewing. In July 2015 Iltaf Shah became an Assistant Professor of the College of Science at the United Arab Emirates University. His research focuses on the development of chemical tools to better understand the role of vitamins and metabolites in the human body. He is particularly interested in vitamin D targets and narrow-spectrum therapeutics. As part of this research, he recently developed an innovative vitamin D test to measure vitamin D deficiency in the Emirati population. In collaboration with Tawam Hospital Medical School, Dr. Shah is also seeking to commercialize this test by implementing it in UAE hospitals. He has also worked with Kingston University to develop a new test that detects kidney disease at an early stage in humans. His other research interest is the bioanalysis of drugs and steroids in human and animal hair by using enzyme linked immune-sorbent assays, liquid chromatography and mass spectrometry instruments. He has recently developed a test used for doping control in camel racing. This is a joint effort between Dr David Cowan’s laboratory at Kings College London and the Camel Forensic Laboratory in Al Ain. After significant news coverage in the UAE, Iltaf has been asked to record an interview with ITV news in London to explain the science behind these innovations in camel racing drug tests. Iltaf completed a B.Sc. at King Edward’s College and then both an M.Sc and Ph.D with Kingston University, England. He has worked as postdoctoral fellow with Professor Naughton at Kingston and then followed this with a lectureship at the same University. He then moved to UAE to take up a post as an Assistant Professor of Biochemistry at UAEU. His graduate, Ph.D and postdoctoral work was mainly on the bioanalytical aspects of small molecules in human bodily fluids. He has also investigated the use of specialised bioanalytical techniques for large molecules proteins and peptides. He is a member of the Royal Society of Chemistry. He has collaborated on several projects with St Thomas’s Hospital, Brighton, Sussex Medical School, Sheffield University, St George’s University, Aristotle University and the World Anti-Doping Agency (WADA) as well as with many private companies. Dr. Shah has received a number of awards for teaching and research, and is the author of more than 50 research articles. He hold a teaching qualification and is a fellow of HEA. He also has management qualifications from the Chartered Management Institute where he remains a member. An avid sports fan Iltaf follows Manchester United and enjoys cricket. Other hobbies include singing when he is not relaxing in the company of his wife and kids. Dr Al Hosanis stature and expertise has seen her make a valuable impact to enriching knowledge and opportunity across UAE society. She has participated in an array of events and seminars dealing with pedagogical issues, within UAEU and in the wider community, and served as mediator between the College of Humanities and Social Sciences and a number of UAE companies and institutions to provide training openings for UAEU students. 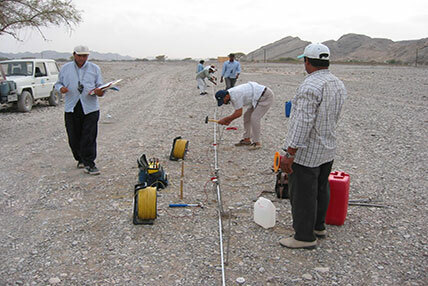 Think of climate change, and you may immediately think of melting ice caps or vanishing rainforests – but the high-impact research that Dr David Thomson leads on the issue at United Arab Emirates University (UAEU) has a very different, and equally important, geographical focus. Since joining UAEU’s Biology Department in 2014, Dr Thomson, an Associate Professor at the university, has built on the department's notable strengths in research and teaching by spearheading novel and high-profile interdisciplinary research that allows undergraduate and postgraduate students to analyze the impact of climate change on hot regions – an impact which does not always lead agendas, but which may be more severe than thought. Having published his first work on climate change in the 1990s, as a PhD student at the University of Glasgow in Scotland, he has since been involved in studies into related topics including climate variability, seasonality, phenology, changing rainfall patterns, and species decline. But since 2009, when he took up a faculty position at the University of Hong Kong, his research focus has primarily been on the vulnerability of the hotter parts of the world to climate change, and whether temperatures may already be too high for many of their species. His team at UAEU – whose Environmental Sciences Program was the UAE’s first postgraduate Masters program - has found that many species in cooler regions are actually better served by warmer conditions, through research that crystallized data from almost 50 studies on terrestrial birds. In hotter regions, however, they found many species have already reached the ‘optimal’ temperature level – where any increase immediately turns ‘perfect’ into ‘negative’. In this field of research, Dr Thomson supervises a postgraduate student team, and has also involved 16 undergraduates in the last two years. 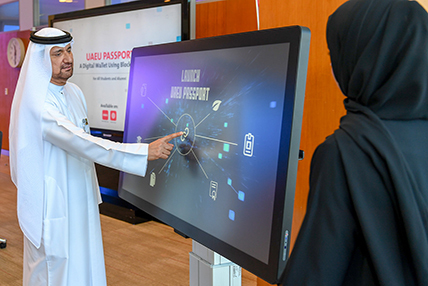 Their work has featured at numerous conferences, and they have raised its profile and purpose among the UAE community through their outreach efforts. The program’s impact, and its success in promoting undergraduate research, led to Dr Thomson being recognized at UAEU’s College of Science awards ceremony in 2017. It was the latest accolade in a career that has seen him run internationally-acclaimed research programs at prestigious institutions - including the Royal Dutch Academy of Sciences and the Max Planck Institute for Demographic Research – win plaudits for the quality of his courses, and see his work graded ‘excellent’ in peer review. He has been published in top journals such as Nature, Proceedings of the Royal Society, Ecology, Biological Reviews, and the Journal of Animal Ecology. Dr Thomson takes this work beyond the laboratory, too. As a respected thought-leader and influencer on climate change, he participates in climate summits, contributes to media discussions, government working groups, and consultations, and is regularly invited to directly address leaders in the field of climate change. From pioneering new technology to publishing insightful research publications for academic journals, Dr Fady Saeed Alnajjar’s work on human behavior analysis and robotics is revered the world over. Since joining UAEU in January 2016 the assistant professor of artificial intelligence and robotics in the department of Computer Science and Software Engineering at United Arab Emirates University (UAEU) has published more than 50 research papers and worked on countless collaborative projects that push the boundaries of science and technology. Passionate about developing advanced and smart technologies to enhance peoples’ quality of life, Dr Fady’s research insightfully explores, among other theories, autonomous machines, neural computational approaches, adaptive controllers, learning and memory, behavior adaptation and recovery, artificial cognition, robotics, and neuro-rehabilitation. His specialist areas, meanwhile, range from neural dynamics to motor learning and memory. Notable collaborations for the assistant professor include his partnership with Al Ain Hospital, a project that examined the autism spectrum and learning disorders, and Abu Dhabi Police, a project for which the assistant professor is building a bomb disposal avatar robot. Dr Fady’s reach also extends overseas. The robotics enthusiast is currently working with the University of Michigan in the US and Nagoya University in Japan to build a prosthetic arm. Additionally, he regularly visits the RIKEN Brain Science Institute in Japan to further his research into post-stroke assessment tools and rehabilitation systems and is also partnering with the Faculty of Engineering and IT at the University of Technology in Sydney on the development of a self-rehabilitation tool for stroke patients. Aside from being an assistant professor at UAEU’s College of IT, Dr Fady is a member of the European 5 Years Project entitled Smart Wearable Robot With Bioinspired Sensory-Motor Skillsas well as the Japan Neuroscience Society (JNS), the IEEE Robotics and Automation Society UAE Chapter and the IEEE Computational Intelligence Society. Outside the classroom the UAE-born scientist, who spent a number of years living in Japan before returning to the Emirates, enjoys camping, swimming and aikido. Dr James Kelley, Assistant Professor of Marketing, Business Administration - (CBE), United Arab Emirates University.When Dr James Kelley says that he doesn’t sleep very often, he may be joking – but, as his life beyond academia shows, there’s more than an element of truth in it, and he wouldn’t have it any other way. 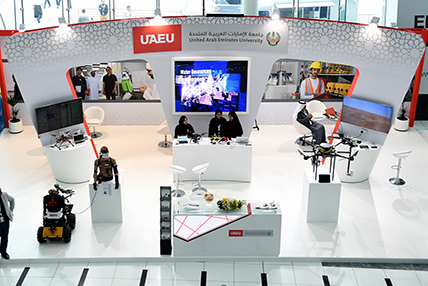 The robotics and media laboratory at United Arab Emirates University (UAEU) is where you will find Dr Jose Berengueres connecting art with state-of-the-art. As Assistant Professor at UAEU’s IT College, the Barcelona native with a PhD in bio-inspired robotics is seeking to bridge the supposed gap between art and technology by demonstrating how they intertwine and open up new horizons, and inspiring students to combine technical and mechanical work with allowing their imagination to flow freely. 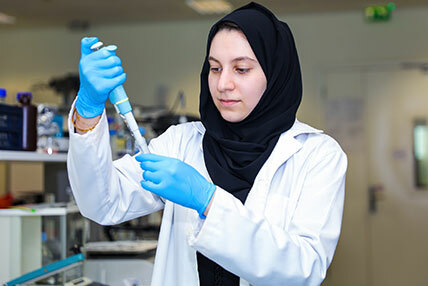 Projects in the lab that Dr Berengueres leads are focused on four areas – art and tech, creativity research, data science research, and robotics research – and activities range from crunching numbers to encouraging recycling to building a camel-sized robot that react to students according to its mood. “Pixar created hit movies and hundreds of highly-skilled jobs, but also pushed the technical boundaries of how computers could entertain humans. The graphic cards developed for 3D gaming have made things like the Tesla autopilot self-driving car possible. And in our lab, we are using ‘nerdy’ gaming devices for research on a new AI field called deep neural networks – because it’s the only way to do this research. This approach is also having a big, visible impact on UAEU life. Students have used 360-degree cameras to showcase the campus to visitors in an innovative, immersive way, and created a “smart bin” that smiles at and thanks those using it – the result being that recycling rates soared by 300%. This commitment to creativity extends into Design Thinking, an increasingly popular course within and beyond UAEU. “It is a thinking framework that enables teams of people to be more creative – what we call ‘group IQ’,” said Dr Berengueres, who has taught Design Thinking and Business Models Innovation in Dubai, California, Germany, and Mexico. The lab’s dedication to data science has seen it collaborate with Etihad on a project to predict which customers will eventually become gold members; with Singapore-based Healint LLC, maker of migraine-coping app MigraineBuddy, on a model to gauge when the condition will strike and how environmental elements such as pollution affect migraine rates; and with HappyForce, a Barcelona startup, on a tool for predicting the likelihood of employees quitting, allowing companies to address the situation. A specific research group has also been formed to tackle the task of making large amounts of data make sense. “Academically and professionally, this is an expanding field, for two reasons – new algorithms and faster computers,” outlined Dr Berengueres. Another burgeoning global field – robotics – is also a core element of life in the lab, through its research into human-robot interaction. “It’s a mix of user experience, psychology, and robotics itself,” says Dr Berengueres. Outside the lab and into the community, Dr Berengueres is a sharer of knowledge, insight, and experience. An ex-entrepreneur himself, he says: “I mentor future entrepreneurs at StartUp Weekend Dubai, GEMS Academy events, or by teaching a workshop at places like FabLab, and I also founded the Dubai Design Thinking Meetup as a way of discussing current trends. Her research interests include pedagogy, international communications and public relations, as well as the effects of both mass media and new media. She has published 43 articles in peer-reviewed journals in a variety of countries (USA, Canada, England, etc.) Theses publications include the Journal of Applied Journalism and Media Studies, the International Journal of Information Systems and Social Change, the International Journal of E-adoption, the Global Media Journal and the Journal for Communication and Culture. She is a member of the editorial board for a total of 18 peer-reviewed journals. Professor Al-Jenaibi has received 24 local and international awards. These include the H.H. Hamdan Bin Rashed Al Maktoum Award for best teacher in the UAE in 2017; the Khalifa Award for best professor in the UAE and Arab region. She has also been the recipient of the Best Teacher Award at UAEU and the H.H. Shamsa Bint Sohail Award for the most creative teacher. Additionally, Professor Al-Jenaibi has been judged as an Outstanding Woman Achiever in Mass Communications and Teaching.Other awards include the H.H. Hamdan Bin Mubarak Award for the best employee in a highly specialized jobs (academic level). Locally, she has won the UAEU Community Service Employee Prize as well as being the most active professor in terms of publication. This is in line with winning her college’s award for research and publishing and the Rashid Award for Academic Excellence. She is founder and voluntary director of the Mubadrah Student Community Engagement Center, which works with 114 local organizations. She is also heavily involved in charity campaigns, fundraising, other exhibitions and in working with local organizations. One of her initiatives was the ‘Let's Read, Volunteer and Innovate’ Program. Professor Eric Mensah Brown is a professor of Anatomy in the College of Medicine. He was born in Kumasi, Ghana. After secondary school he attended the University of Ghana Medical School in 1980 and gained a MBChB degree. After three years medical practice with the Ministry of Health in Ghana he moved to England to undertake graduate studies at the University of Leicester. After completing a Ph.D in embryology, Eric returned to Ghana as a lecturer. He also worked as a senior lecturer at Walter Sisulu University in South Africa before joining the College of Medicine at the United Arab Emirates University in 1992 as an assistant professor of Anatomy. In addition to his duties as a professor of Anatomy he has served as member of the Curriculum Committee (including chairing it) and as a course director of the Medical Sciences and Organ Systems courses. He is presently the Chair of the Faculty Governance Review Committee (designing and reviewing faculty governance documents) and the Faculty Assembly as well as being a representative on the College Council. He has received best teacher award several times. His research interests include morphological studies of the camel and the houbara bustard. For the last few years Eric has worked on studying autoimmune diabetes and experimental allergic encephalomyelitis (EAE). He has presented papers at several immunology conferences and been involved with other research activities. At the moment he is a reviewer for the Kidney International, Molecular Immunology, Human Immunology and Immunology journals. He has published 50 peer-refereed papers. The highlights of his studies on autoimmunity have included observations on the role of microglia as antigen presenting cells in EAE; the role of interleukin (IL)-23/IL-17 and Toll-like receptor 2 pathways in experimentally induced diabetes, where interferon gamma served as a facilitator rather than an opposing factor. He has also researched the role of galectin-3 in animal models of human type 1 diabetes and multiple sclerosis. A micrograph on the role of IL-23 was used as a cover illustration for an issue of the European Journal of Immunology. In the last five years he has expanded his research interests into the epigenetic regulation of metabolic syndrome, and together with colleagues, has received several interdisciplinary and faculty grants from the university worth more than 2 million AED. Professor Mensah Brown is married with four children, three daughters and a son. His wife is a retired teacher. Their eldest daughter lives in the UAE and is a businesswoman. The second daughter is a medical physicist working at the Kansas University Medical School Cancer Center, in the USA, while the final daughter is an eighth grade Algebra teacher in Minneapolis. Their only son is a medical student at the University of Pennsylvania. His hobbies include apologetics, philosophy of religions and reading. He also loves traveling. In the past he was a keen tennis and soccer player but now limits physical activity to walking and riding his bicycle. In his spare time, Dr Abdulla Al-Khatib likes to draw. When he is at the United Arab Emirates University (UAEU), his students prefer to draw on his experience and expertise. As Associate Professor of Civil Procedures at the UAEU, Dr Al-Khatib is focused on cultivating the knowledge and nurturing the skills of young people who represent the nation’s next wave of legal professionals, combining his academic tutelage with coordinating their professional development by placing them with law firms in order to complete their training. Meanwhile, he also applies his legal prowess – honed over many years of study and work in the sector – to his role of Director of the Legal Clinic at the UAEU, where he provides pro bono consultancy services and works with the university’s Human Resources department to steer the institution through legal issues that arise. His life in law has come full circle, as it was at the UAEU where it all began. Graduating as a Bachelor of Law in 2000 after four years of study, he went on to undertake his Master of Laws (LLM) degree at Tulane University in New Orleans, subsequently also gaining a Ph.D. in Law from the Louisiana institution. Dr Al-Khatib cut his teeth in the legal sector by training as a lawyer at a Dubai-based firm, where he wrote memos and pleas to courts and other institutions, liaised with clients, negotiated contracts, and conducted other pivotal official matters. 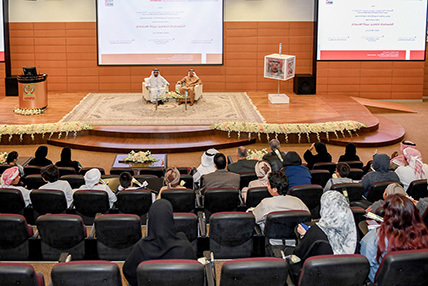 But the pull of academia brought him back to the UAEU, where – after publishing many legal articles in high-ranking academic journals – he was promoted from Assistant Professor to Associate Professor in 2016, his personal career highlight to date. Since returning to the UAEU, he has been awarded the university’s Dean’s Award for Excellence in Teaching Award in 2016, and its Dean’s Award for Excellence in Community Service for the 2016/17 academic year. The latter accolade is presented to the faculty member who has made “the most outstanding contribution to the university and the community”, with Dr Al-Khatib being named as its most recent recipient due to his “remarkable contribution” to the UAEU’s College of Law, including serving on many high-level legal committees and providing invaluable advice in his areas of specialization. Dr Al-Khatib takes inspiration for his dedication and work ethic from His Highness Sheikh Mohammed bin Rashid Al-Maktoum, Vice President and Prime Minister of the UAE and Ruler of Dubai. Away from the UAEU, he enjoys spending time with his wife and five children, Mira, Reem, Abdulrahman, Juri and Jood, and practicing Arabic calligraphy, as well as his fondness for drawing. Dr. Jinan Bastaki is a UAE national and a graduate of the London School of Economics (LLB ), the University of California at Berkeley (LLM), and SOAS (Ph.D). Dr. Bastaki joined the Law Faculty as assistant professor of International Law in 2017. Her Ph.D thesis focused on refugees and their right of return. She has presented in many international conferences on the topic of refugees and refugee law and has been invited to take part in panel discussions on the rights of refugees in certain parts of the world. Jinan has volunteered in refugee camps in Jordan and Greece. While her basic foundation is in International Law, her work is multidisciplinary. She is interested in people, particularly in how to increase the visibility of groups not generally recognized under existing legal or political categories. She seeks to challenge these traditional legal categories that have created an unjust ‘hierarchy of rights’. She has conducted interviews with diaspora communities and refugees and aims to publish her findings. Her current work focuses on how to better international refugee law to cope with many current challenges: such as a large influx of refugees that is not adequately covered by the 1951 Refugee Convention. Her paper for an upcoming international conference in the US focuses on faith-based principles as a regional standard to encourage states to do more to support refugee communities. In her free time she likes to relax in coffee shops wherever her travels happen to take her. UAEU students during a scientific trip to Lulea University of Technology in Sweden.